Ahh, I wish I could have this past weekend back and relive it over and over. It was great weather, good company, and yummy food! Thursday evening, I had plans to meet up with my friend Mackenzie at Color Me Mine. I thought it would be a great activity- and finally one that didn’t involve beer with the two of us. But, as soon as we got there, we noticed that the prices were sky-high! We hightailed it out of there and where do you guess we ended up……………a bar. I was kind of bummed that we didn’t end up with any pottery- since I was really hoping on painting a pretty sweet cake stand. Ah well. Friday I took the puppies to the park for a good chunk of the afternoon. 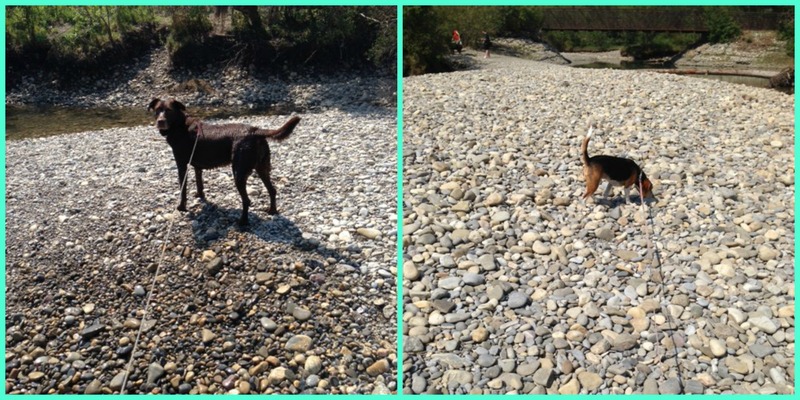 They got lots of play time in with other pups and Layla got in a few swims. 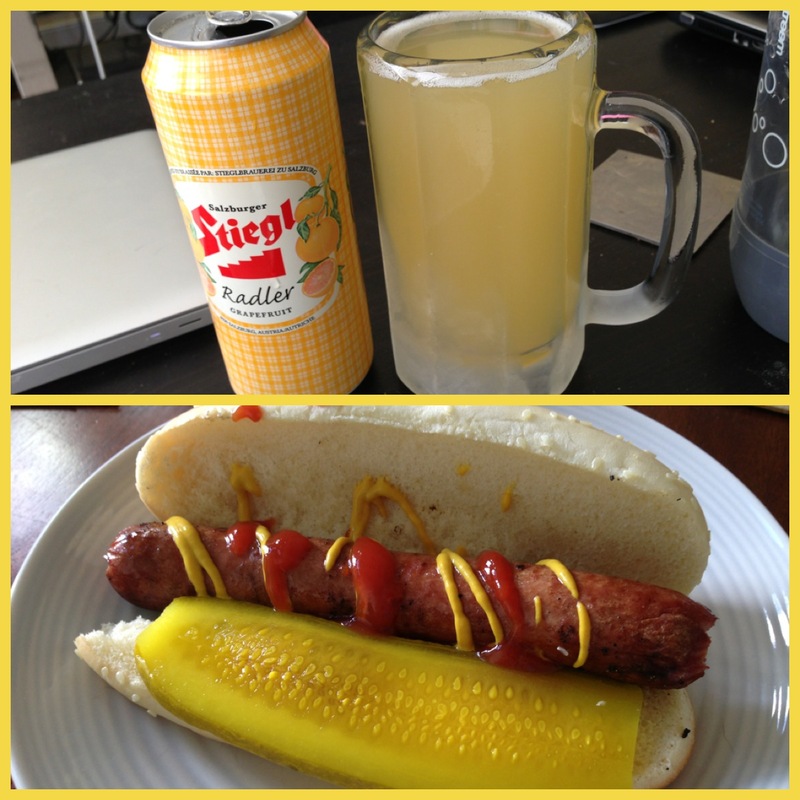 We had hot dogs for dinner. And beer. Delicious grapefruit beer. It tastes best with a shot of vodka in it. Don’t question the madness- just try it! 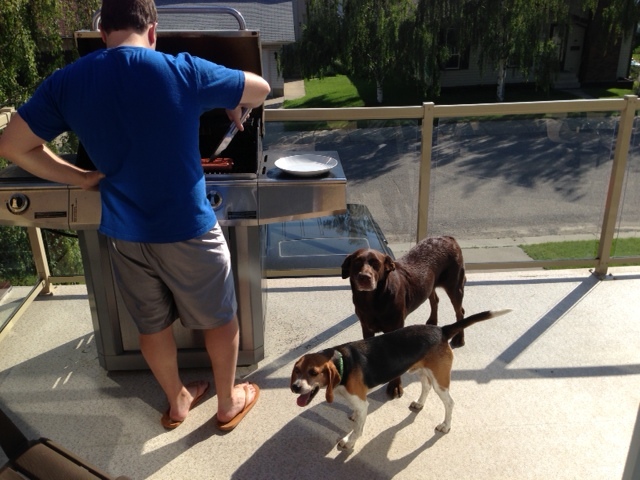 And the puppies helped man the BBQ with Tyler. 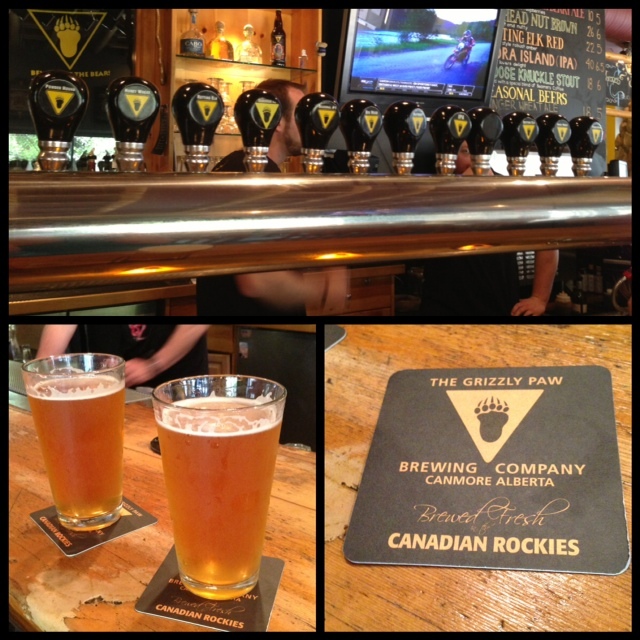 Saturday, we went to Canmore to visit our favorite brew pub and to walk around for a few hours. It’s always such a delicious experience when we go to Grizzly Paw! Tyler ordered the deep fried pickles and fish and chips and I got the veggie panini. To top off a wonderful afternoon, we had ribs for dinner! They are seriously so good that I almost eat myself into a coma every time Tyler makes them. So worth it though. We also started watching Weeds. Yup, I’m addicted to that show. I am seriously loving Netflix with all this binge watching I can do. Sunday we met up with our friends Crystie and Greg at the Sun and Salsa Festival. Tyler and I went last year and it was so damn HOT. This year was a lot better temperature wise, but it was still crowded as hell. Yuck. 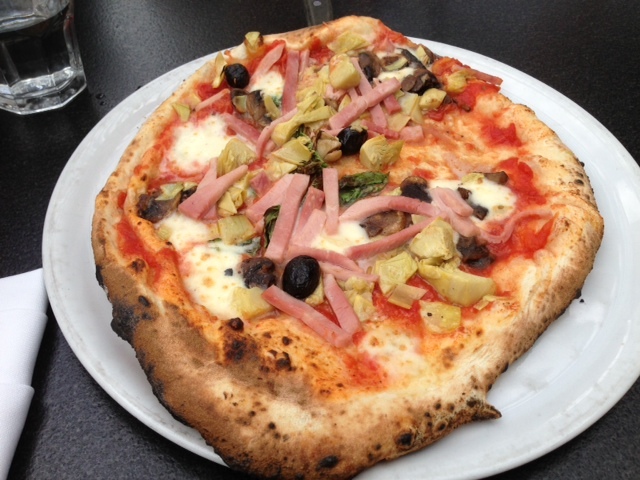 We stopped at one of the restaurants within Kensington (Pulcinella) for pizza and it was so good I seriously could have eaten two. Lots of stuff was on the agenda today, but I want to get in a couple episodes of Weeds before bed tonight. Catch ya later! What’s your favorite new-to-you show? 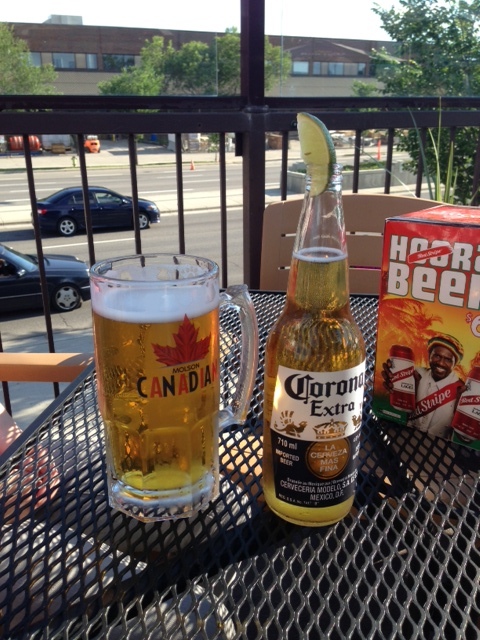 Looks like a great weekend! 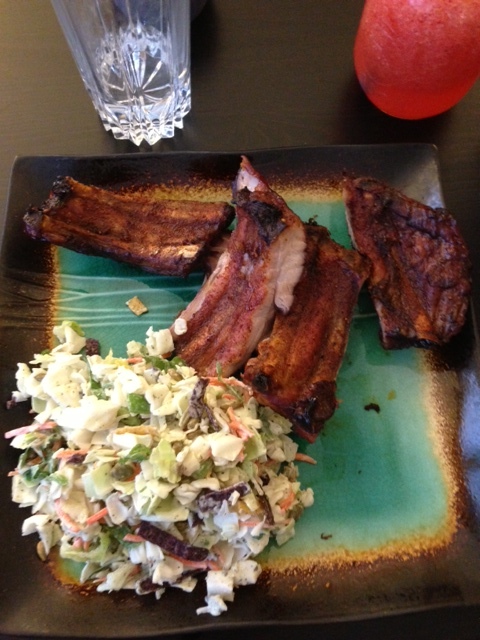 Brian makes the best ribs too…so good and worth the time he puts into them. I work in Kensington and always forget about the sun & salsa festival. I really should go one year! Ribs= YUMMMMM. Just be sure to have your patience hat on. There are LOTS of people and it can be very slow moving! What is your coleslaw recipe! It always looks SO GOOD! Mine never comes out that pretty. There’s a good chance you’ve already posted it but I can’t find it! That picture is actually Baja chopped salad! But it looks really similar to coleslaw! I usually buy the bagged coleslaw then add mayo, mustard, white vinegar, lemon juice and pepper. I don’t measure, just to taste. I mix it together a few hours before eating so that it can ‘marinate’ in the fridge for a bit. I just found Orange is the new Black and am hooked! It’s on Netflix too! OMG me too! I can’t stop watching it!! I just found orange is the new black and am hooked its on Netflix and is by the same ex producer as weeds I think! Check it out! Also YUMMM ribs! My fav new-to-me show is Homeland. We just finished season 1 & are anxiously awaiting the season 2 release on dvd. OMG homeland is SO good. We binge watched both seasons and I’m dying for the next one to come out!!! I’m not a fan of fried food..but I’ll try a bite here and there for Tyler’s sake- and these pickles were the BEST! The seasoning had a little heat which I loved- went perfect with the crisp pickles they used. ah! I don’t know what happened there – Homeland is my fav show right now. It’s SO addicting.